Our Friend Foster Gamble posed the question, “If you had Edward Snowden’s Proof, what would you do?” in his video blog. I wanted to respond by telling my story and hope that it can bring some clarity and inspiration to those who read it, so that you can understand some of the internal processes that occur when someone like Snowden is in a position where they have to choose the direction of their moral compass. I too am a whistle-blower. Though nowhere near as tremendously significant as Snowden, but I did have my own experience that was tremendously significant to me as it dramatically changed my life. A couple of years ago I was employed as a Financial Analyst in a billion dollar firm working primarily with investment banks. I had high level access to a lot of information, and I saw clear-as-day blatant corruption that was negatively affecting the lives of about 300 of my fellow employees. And what was worse, is that the more that I uncovered, the more I began to realize that my actual role in this company was to assist in facilitating this corruption. Once I came to this realization, I could no longer claim ignorance and my moral compass kicked on with a fierce battle cry. I want you to know that it was a “good job”. I had worked for years to gain the skills required, and have mountains of school loan debt to obtain the advanced degrees required to obtain that position. With the job market being as bad as its been in America, it took a qualified person such as myself 9 months and 21 interviews to land this job, and I worked there for two years. I had a decent living salary, and benefits for my family. The company often took me out and wined and dined me. I was a model employee, incredibly loyal to the company, everyone really liked me, many even came to my home for weekend parties. I got rave reviews from my supervisors and coworkers, and I even got a promotion after one year. After confiding my discoveries to the authorities inside the company, things got really weird really fast. I was made tremendous promises that they would correct the problem. And then they did nothing. Instead, I was ostracized and marginalized. Because I had such a good employment record, they couldn’t find a reason to fire me, so instead they set me up in impossible circumstances to try to get me to quit. It was 6 months of sheer hell, and I went through it all with a fake smile on my face continuously trying to be the “better person”. There were two other brave whistle-blowers that came forward in the company too. Both of themwere put through the same thing and decided to quit. I rode out my stay to the bitter end, hoping and praying that the corruption would be corrected and I could feel like I had done something to help those 300 employees who were suffering. I never gave up, because doing so would mean that on a soul level, I would have to willingly consent to facilitate the corruption, and I just couldn’t do that, because I still had a basic “knowingness” of right and wrong. An interesting phenomenon occurred during this time. I had many friends and confided in them, telling them what I had discovered. They knew it to be true and said as much. But then they turned quiet and turned away and acted very weird. There eyes would glaze over with a blanket stare of “I cant handle this.” And they would, knowing it to be true, CHOOSE not to engage in any way. Looking back, I see now that it was their programming that caused them to act that way, the same programming of societal self policing (I can’t do that, what would people think of me?). Some are strong enough to break through it, others are not. But I do not blame any of them, I blame the forces, whatever they are, that created that programming in the first place. It was only because I had this incredibly personal and painful experience that I then had the eyes to see the truth of the bigger picture. I started researching like crazy on the internet, because I needed to understand what the heck had just happened to me and why such an outcome could occur when I chose to do the right thing. I fell down the rabbit hole, the one that starts with the financial corruption, soon leads into the secret societies, and ends up with extraterrestrials and spiritual awakening. I’ve learned that those individuals who have the hardest time “waking up” are usually those whom have never experience the corruption and betrayal first hand. I took ALL my knowledge and skills both from the business world and from my learning experience at being a whistle-blower and decided to start my own organization. One that is clean and corruption free, one that is sovereign, one that is transparent, and one that exists to serve the greater good of all of humanity. Our entire business plan, revenue plan and all of our financial figures are posted on the internet for everyone and their grandmother to see. As far as I know, we are among the first of any company to do this. So you see, I learned in the land of corporate secrets EXACTLY WHAT NOT TO DO, and have dedicated myself to be the example of the moral and ethical way of doing things. My years of business skills and higher degrees is better used here, in a company that exists for the people, the same type of people I tried to help when I blew the whistle and lost my job. So in my own way, I know how Snowden felt in that quintessential moment when he took a look at his comfortable life and decided to “throw it all away” to do the right thing. It’s called a conscience. And for those of us who know and see the difference between right and wrong, it can eat our souls alive to do the wrong thing. It’s called a choice point. I have seen a handful of friends get to their own choice points in their lives, and sadly, most of them choose the “easier way”. The WRONG WAY. They choose to fall back asleep and facilitate the corruption. I honestly have no idea how they can do it. I’m just not built that way, I’d rather die. There is a beautiful end to my story, and that has to do with YOU THE PEOPLE and what I can only attest to as extreme divine help and protection. Somehow, I’ve made it through and entire year without my job. I’ve paid my bills by some miracle or another every month. The PEOPLE, people all over the world have helped me, shown me they believed in me and stepped up to the plate whenever I needed them. Step by step I’ve been able to produce a website, a business, and a movie that’s gone viral. Soon I can bring forward a platform that will allow all of us to do what we want to do, that will include a mechanism to fund all of our passions and dreams for healing the planet and each other. And soon our company will be among the first to bring free energy to the world. I trust you my fellow humanity. You are now all my employers, and my family. And through this experience, I’ve learned the amazing miracle of Quantum living. I’ve learned that there is a force greater than any cabal, that is here heavily protecting some of us who have stood up to do the right thing in the face of evil. We are agents of change, and the divine knows this. We are part of the bigger plan and we have roles to play to help remove the shackles of human enslavement for all of us. In this past year, I have been fortunate enough to witness 3 events. A year after I left that job, the person responsible for the corruption was fired, so finally justice was served and I would like to believe that the company has made the corrections I fought so hard for. Also we’ve seen a huge turn in public opinion in support of those who do the right thing with the most recent story of Karen Hudes, the whistle-blower from the World Bank, whom I’ve also briefly chatted with. (Rock on Karen we are rooting for ya!) And then to see the tremendous outpouring of support and respect for Snowden, directly from the people that he did this for, makes my heart smile beyond words. Snowden will be protected. I can see that something great is happening with what he has done. David Wilcock called it the beginning of the end of the cabal in his prophetic dream. And I can see that there were huge holes cut into the matrix to allow Snowdens story to get onto the mainstream news the way it has. We know there are millions of stories that are hidden and suppressed. Why did this one suddenly get through for all the world to see if not for some form of divine intervention to initiate the change? And the change, is the most important part here. 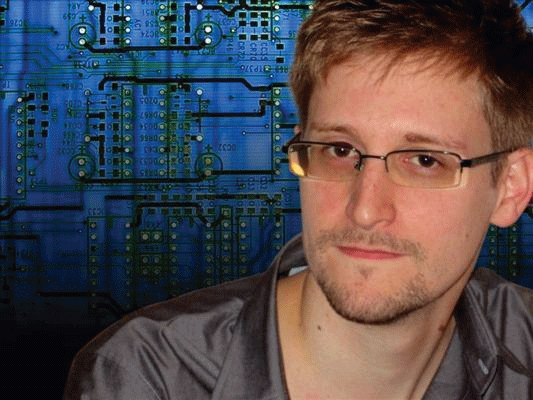 Snowden said it in his own interview, that his biggest concern is that nothing will change. I had that same concern after what I went through. Again, I say it is up to us, and slowly but surely the people are waking up, being pushed to their own choice points and hopefully more of them are choosing to do the right thing. This is what will create the change. Its when we decided to reconnect to our own consciousness and use common sense, rather than just living our lives like zombies making every decision based on “page 25 of the rule book”. We can only be mostly zombies when we are comfortable. And over the past few years, the cabal has made it their mission to take away as many comforts as they can. We’ve lost our jobs, our homes, our value. We’ve become so uncomfortable that we can’t sleep anymore, and this is probably something the cabal didn’t bank on, just look at Turkey! And as for Snowden, he is more than a hero to me. He is a brother, a kindred. As are each and every one of you that decide to do the right thing. NextIf you own a home or have been through foreclosure, you will want to read this! recently, I have accepted your linkedIn invitation. I hope you have seen your linkedIn update already. I thank you for this blog. When I first read about Snowden, the movie "Enemy of the State" played by Gene Hackmann and Will Smith came immediately into my mind. This movie tells exactly about the NSA espionage around the world. But I think the americans did not pay so much attention to it. I myself knew that Snowden has a very important role for this ascension process of our mother earth. That's why I immediately asked Ashtar Command and our Galactic Family to protect Snowden as his role in this ascension process is so vital for the awakening of the masses. I am very sure that our Galactic Family is protecting him from above the way they protect every lightworker as their "cosmic ground crew". I was so delighted to read your awakening story. I myself have also my personal awakening about how our world operates and who controls the whole world when I've got my breast cancer diagnose in 2010 and fought with my medical insurance for 8 months to get my alternative treatment paid without any success. Thank you for being here as a co "cosmic ground crew". Yes.,. HopeGirl..thank you ever so much for sharing. HopeGirl.. YOU are my hero. I’ve shared your post on a private FB page and on my own profile. I stand with you. Rock on. HopeGirl, you rock. I deeply applaud your love for humanity and your courage to do the right thing. Love always! Love to you HopeGirl and everyone. Thank you so very much for sharing.